M-22 House by Michael Fitzhugh Architect. M-22 House is a modern private residence designed by Michael Fitzhugh Architect and is located in West Grand Traverse Bay in Northern Michigan. This entry was posted in bathroom, bedroom, house, kitchen, living, loft, pool and tagged bathroom, bedroom, house, house idea, houseidea, Indoor Swimming Pool, kitchen, living, loft, M-22 House, Michael Fitzhugh Architect, Michigan, myhouseidea, pool, sauna, USA, villa, West Grand Traverse Bay on February 26, 2014 by admin. Le Petit Palais in Courchevel. Le Petit Palais is a luxury Ski in, ski out Chalet with the perfect combination of jet-setting penthouse, exclusive boutique spa and first class entertainment complex located in Courchevel, it sleeps 12 – 14 people in 6 rooms, all beautifully decorated in contemporary luxe style. This entry was posted in apartments, attic, bathroom, bedroom, chalet, house, kitchen, living, pool, relax and tagged Bar, bathroom, bedroom, chalet, Chalet Le Petit Palais, Courchevel, France, Gym, house idea, houseidea, Indoor Swimming Pool, kitchen, Le Petit Palais, living, luxury, myhouseidea, sauna, Ski in ski out, Stone walls, travel on February 23, 2014 by admin. 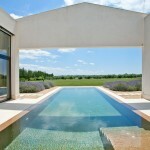 Holiday Home in Mallorca by ecoDESIGNfinca. This holiday home was designed by ecoDESIGNfinca, and is located in Mallorca, Spain. This designer country house was built on a 17,000 m² plot and absolutely quiet. When building large emphasis was placed on the processing of high-quality materials and the latest technology. The villa was built in H-shape on one level. Large picture windows provide a view of the beautiful interior courtyard with pool. This entry was posted in bathroom, bedroom, house, kitchen, living, outdoor, pool and tagged beach house, ecoDESIGNfinca, Holiday Home, houseidea, Mallorca, myhouseidea, outdoor, pool, sauna, Spain, summer, villa on August 22, 2013 by admin.